What Can Be Found Here? The first letter of Sha’ul to the Teslonikim, chapter 5:22 is a very famous verse, but very often misunderstood, and applied especially by Christians, who have no connection with the Torah. You see, when you have no objective standard of what evil is, in this world, then everything has the potential of being evil.What happens is that instead of applying the Torah to live, we end up getting subjective in our definition of what evil is, and then we superimpose those ideas on others, and demand that they uphold our idea of what holiness is all about, instead of upholding the idea of holiness that the Torah seeks to impart. The danger is clear. What we end up with is exactly what the Prophet Yishaiyahu 5:20 says ... namely, Woe to those who call evil good, and good evil; Who put darkness for light, and light for darkness; Who put bitter for sweet, and sweet for bitter! In other words, as the Torah says in D’varim 12:8, “Every man does what is right in HIS OWN EYES.” The conclusion is that people end up judging you, on the basis of their own model of righteousness, instead of the standard of the Torah. To give you an example, Adi sent a letter out explaining the need for support for this ministry, and various people got upset with the letter. In their eyes it was wrong/evil for us to ask for monies. Some people might have even stopped attending our online class, saying that we shouldn’t have to ask for support, even though clearly the Torah allows for this. To them, if Ha’Shem wants a work supported, we should never have to ask because the money will just flow in miraculously. But this is pure voodoo, and trickery, masquerading as spirituality. Whether they came to this conclusion based on the evil other ministries have perpetrated in fleecing their flocks, or stealing money from innocent old women by the use of deceitful measures, they cannot equate asking for support, as an appearance of evil based on what other ministries and men have done. A few of those who wrote felt that the reason you should not have to ask is because The Torah is NOT for sale. And I agree. It is not for sale, but the Torah itself instructs us how to take care of those who teach and perform service on behalf of it, and even teaches on its parallel idea in the animal world — don’t muzzle and ox that treads out the grain (D’varim 25:4/1 Tim 5:18). The meaning is simple, and does not need to be expanded upon. The point is that if one man tells you to avoid the appearance of evil, because he thinks a certain behavior is evil, the only answer you can give is, “Show me where in the Torah, you are able to conclude that what I am doing is evil.” If we want to find out where this phrase comes from, we need look no further than Sha’ul at Teslonikim, chapter 5, verse 22. Here, I want to briefly unravel the text, so that you can see just how much Sha’ul based himself on Torah, and not on any teaching of men. The thing to understand here is that the Torah is truth, and truth needs no defense. It stands on its own, because it determines for itself what is true and good, and what is false and evil. With the Torah the buck or Sheqel stops. Let's now look at the phrase, “appearance of evil,” because as I said people like to judge others on a false standard and this happens to be one of them. When you search you will find that only some translations, will agree that the Greek is saying to avoid “appearance of evil”, but as you will see, this is simply not true. The word for evil is in fact the right word for evil, Pa-nei-roo. But the word in use for appearance in English is not the correct Greek word to express that concept. The Greek word is Eiy’doos. Eiy’doos does not mean something that appears or gives the impression of good or evil. It points to something that is established. Something that exists. Something for which there is solid evidence. 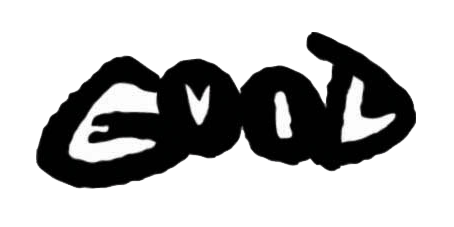 Rather than merely appearing as good or evil, Eiy’doos is the very FORM of good or evil. Its is Black and White, concrete Good or Evil. If Sha’uls Greek had wanted to warn you to avoid appearances, it would have used a different word, Ble-po-men-non. This is the verb, to see, or it could also have used “haras-sin” as we find in Gen 2:9, where HaShem makes a tree with an “appearance” that is pleasing to man. But by using Eiy’doos in the text, Sha’ul is telling us to stay away from everything that the Torah defines as evil. He does not leave the definition of that to what any man thinks. In 2 Cor 5:7, and 1 Th 5:22 the text tells us A) we walk by trust, not by “what is established form”, and B) to stay away from every established FORM of evil. For instance, in the area of sexual immorality, you have to define evil on the basis of what is written at ViYikra 18, and 20, which describes illicit relationships as sexual immorality. Is “memra” what Yochanan refers to in 1:1? Does “memra” in the Tanach show evidence of HaShem manifesting Himself in bodily form? Hebrew (transliteration): Sha'alu Shalom Yerushali'im. Yishai'u ohaveich. Typical English translation: Pray for the peace of Jerusalem. May they prosper who love you. "They [the Judges who are sitting on the thrones in verse 5] are going to inquire, "Can there be Shalom in Jerusalem? Will there ever be equity for those who love her?" English Translation of Text A (NIV): "But King David replied to Araunah..."
English Translation of Text B (NIV): "Then the King said to Araunah..."
The Flaw: The Hebrew word for Araunah in Text A is "Ornan." The Hebrew word for Araunah in Text B is "Arav'nah." The Flaw: The events are completely separate. The landowners from whom David purchases in each case are two separate individuals. 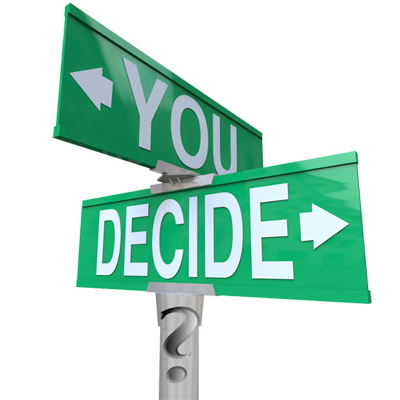 The price that David settles to purchase one piece of property, is different from the price of the other property. One property (the more expensive one) was in fact the site upon which David's son later build the Temple. The other property was used as an alter upon which to offer the Red Heifer sacrifice on the Mt of Olives. Lesson to learn: Don't ever trust a translation, when it comes to the Word of G-d! Use them to gain understanding, but don't TRUST them. Lets pretend for a moment that I have never heard of the term Memra, that I haven't got a clue as to what Memra is. The first question I would ask is: "Why would I possibly care about what memra is?" If I have a copy of the nearly original Hebrew (Masorti) text, in which almost every verse of the Tenach was originally written, and I can read Hebrew... ? And if I have a copy of the NT in Hebrew, in which language it was most likely written, and I am able to read and understand the text...? And if I have a copy of the Greek text of the NT, in which language the NT was most accurately preserved...? Why would I have the need to consult "the Targumim", ARAMAIC TRANSLATIONS AND EVEN PARAPHRASES? in order to understand the true meaning of the original text in Hebrew??? If "Adom" means "Red" in Hebrew, why would I consult a Chinese Dictionary of the Hebrew Language, which explains that "Adom" means "A shade of pink?" Should I use my newly gained knowledge from a Chinese source, to go back to the Bible, and substitute "a shade of pink" into every passage which contains the word "Adom?" Should I use my newly gained knowledge from "the Targumim" to go back to the Bible and change its meaning? And yet, to the Targumim and to the Kabbalah (mystic Judaism) the Trinitarians run, in order to establish support for their three-in-one god. They do this because they have failed to find support for their idolatrous prostitution in the original Biblical Writ. So, they are forced to look elsewhere. A "Targum" is a translation (it comes from the Hebrew verb "Litargem" -- to translate), but the term is usually used specifically to designate Aramaic paraphrases or translations of the Bible. After the exile, Jews who remained in Bavel (Babylon) soon forgot how to read, write and understand the language of their fathers (Hebrew). So, a tradition was developed in the synagogue, to enhance the understanding of the Torah when it was publicly read every Shabbat. It was determined that a public reading of the Bible in the synagogue must be accompanied by a translation into Aramaic, which was the spoken language of most Jews in Israel and Bavel during the Talmudic era. The normal practice was that after each verse was read from the written scroll, an official known as the "Meturgeman" would then recite orally an Aramaic rendering of the previous verse. During this period, it was forbidden to write down the tirgum (translation), because the Rabbis knew that this would lead to an eventual replacement of the Holy Torah for which centuries of meticulous efforts were made in order to preserve it, in its original form. Nevertheless, some of these tirgumim were written down anyway, some as fragments, and others in more complete form, for use in private studies of the Bible. The most well known of the Targumim, Targum Onkelos, was purportedly penned in early medieval times by "Onkelos the Proselyte," who supposedly gained the respect of the leading Hebrew scholars of his day. However, the translation really has no known or confirmed author. Some claim that it was in use in Babylonian synagogues during the Talmudic era, while other sources claim this to be a mistaken identification. Equal mystery in connection with their origins surrounds the other more notable Targumim, such as Targum Yerushalmi and Targum Pseudo-Jonathan [Yonatan ben Uzziel]. The point is that, unlike much older Biblical texts, no one really knows the exact dates when the Targumim came into written existence, or exactly who wrote them, or compiled them. If we don't know who wrote them, or when, then how can they be deemed "authoritative?" Nevertheless, some felt that without them, the Word of G-d could not be transmitted to the rest of the world, and so efforts were made to lend "authority" to these translations. This remains a common practice today. When you want someone to believe your source, you simply add the word "authoritative" to your description of the source, and everyone who reads your quote, is suddenly forced into accepting the idea that the ancient text had the stamp of approval of its contemporary scholars. There are many such modern-day deceivers, who have an agenda to sneak their own Hellenized version of a Trinitarian Gospel into fame, under the disguise of Messianic Jewish roots teachings. They often add the word "authoritative" to their writings, in order to mislead whom they will into thinking that the Targumim were sanctioned by Rabbinic authority across the centuries, as valid substitutes for the Hebrew Torah and Tenach. But this was never the case. As the use of Aramaic declined, the practice of reciting the Targum in the synagogue fell into disuse in most Jewish communities. Hence the Targumim simply became "just another paraphrase," to help us understand the culture of the day. 1. For the most part, the Targums are a literal, word-for-word translation of the Hebrew. 2. However, like all translations, there are a number of cases where they depart from the plain sense of the Biblical text. These include Poetic sections such as the testaments of Ya'acov (at the end of Breishit) and Moshe (at the end of D'varim), and sections that either present theological difficulties, or need outside intervention in order to conform to the accepted interpretations of the Jewish oral tradition. Targum Onkelos renders these passages with expansive homiletical interpretations, which in the end, produce more confusion, than clarity. 3. Targum Onkelos was uncomfortable with Hebrew expressions that suggested direct interaction between G-d and His creatures. In some cases it gets around these difficulties through the unnecessarily use of lots of verbiage in order to explain an idea. 4. In other cases, Targum Onkelos simply foists new concepts upon its readers, completely foreign to the Torah, in order to explain G-d in terms of the Greek philosophy flying around it its day. It was in this vain that Onkelos is using the memra or "word of the L-RD" not merely as a counterpart of Bible's “angel of the L-RD”, but beyond. The “memra of the L-RD” figures in more places than the “angel of the L-RD” as the manifestation of the divine power in the world of matter and mind, as G-d's messenger in place of G-d Himself, wherever Onkelos thought it should. In order to push this philosophy, the Targum substitutes "the L-RD" with "memra" when it wants to avoid an anthropomorphic expression of G-d. It was his way of marring Greek philosophy with the G-d of the Hebrew Bible. But this was nothing new. It had been tried many times before. The approach did nothing more than echo the use of the "logos" in the writings of the Jewish philosopher Philo of Alexandria (20 BCE - 50 CE). Philo was a Hellenized Jew, who sought to span the differences between the two cultures of the Greek and of the Hebrew. When Hebrew mythical thought met Greek philosophical thought in the first century BCE, it was only natural that someone would try to develop speculative and philosophical justifications for the Torah and for emerging Judaism, in terms of Greek philosophy. To bring this into a modern context, you only need imagine what people will do 200 years from now, when they come across a copy of David Stern's "Jewish New Testament." It is clear that Stern's translation of the NT is no translation at all. It is a modern paraphrase of an ancient text, which was birthed when Stern justifiably saw the need to marry the North American western evangelical Christian culture, with the North American westernized in-exile Jewish culture (from whence he came). There is no doubt that the translation was needed, and that it is helpful in clarifying certain texts. But can we depend upon it in every case as an accurate reflection of the truths originally penned in Hebrew or in Greek? Two hundred years from now, how many will assume that Stern's "Complete Jewish Bible" was an "authoritative" translation, accepted by Jewish Scholars of the 21st Century? Now back to o Memra. Here is what they are saying that Memra is. You are free to choose door number 1, door number 2, or door number 3. 2. A linguistic device which proves that our ONE G-d is actually THREE gods, because some modern Messianic Jewish Roots Hellenists claim that a medieval Proselyte said so. 3. A modern bastardized term, at least 1000 years removed from its source, which has become anything you want it to be that sounds spiritual, and proves the central doctrines of Christianity, using mystic Jewish literature as a vehicle. In conclusion: Does memra pertain to Mashiach? Maybe. If you could take the Word of G-d, the Torah, and dress it in flesh, it would look like the historic Yeshua. But that is just literary exaggeration to help one visualize his life. In any case, it doesn't turn Yeshua into G-d, any more than the memra was G-d.
"In the beginning was the Torah. The Torah was next to HaShem, and godlike was that Torah." Its a simple crash course, and foundational statement of the source and the holiness of the Torah. It rallies all readers under a common understanding, in order to get them on the same page, so that Yochanan could go on to further explain in the following 21 chapters how Yeshua's future claim to the Messianic title could be justified. Did Onkelos ever use the term Memra in order to describe how HaShem "manifests Himself in bodily form," against centuries of incontrovertible Jewish belief to the contrary? No. It never happened. If anything, Onkelos was simply explaining how the Word (rather than G-d Himself) got manifested in flesh. Only Christians, like their pagan Greek partners, believe that G-d Himself becomes flesh, which is a concept that both the Torah and the NT not only negate, but forbid as well. "Do not practice divination or fortune-telling." ViYikra (Leviticus). "There must not be found among you a diviner, a soothsayer, an enchanter, or a sorcerer." D'varim 18:10 (Deuteronomy). Practicing divination implies the power to learn secret things condemned by Prophets. It amounts to involving oneself in anything which is seductive and has the power of corrupting influences, which detract away from what the Torah clearly teaches. Mystical things are not going to give us answers. Neither the Zohar nor the Targumim, nor Philo can explain to us the meaning of the Word of G-d. Comment: The Creator G-d is the Father (De opificio mundi 1:7, 10, 21 etc). In the above verse Philo clearly states that the Father created the world by UTTERING his plan, his word. And Philo tells us that the Father did not allow anything to come between the word he SPAKE and His deed. No other self-conscious being was creating with him. Philo leaves no room for the idea that the “word” in Yochanan 1:1 was "Jesus" as the Co-Creator G-d besides the Father. The Father uses created beings as His agents. When we read that YHWH did or said something, often it was actually an agent, who did or said it. For example we read that YHWH spoke to Moshe from the burning bush (Ex 3:4, 6, 7). But in fact it was an angel (Ex 3:2; Acts 7:30, 35). The angel, although a created being, was referred to as "YHWH" and could say "I am YHWH", because he had the Father's power and authority to act on His behalf. "And the Father who created the universe has given to his archangelic and most ancient Word a pre-eminent gift, to stand on the confines of both, between that which had been created and the Creator" (Quis rerum divinarum hers sit 1:205). "And even if there be not as yet any one who is worthy to be called a son of G-d, nevertheless let him labor earnestly to be adorned according to his first-born word, the eldest of his angels, as the great archangel of many names" (De confusione linguarum 1:146). "Why does he (Moshe) say, "But Hagar called on the name of the L-RD, who spoke to her, saying, 'Thou G-d who hast had regard unto me'." [Genesis 16:13].... But still why is he here called L-RD or G-d he, who ought only to have been styled his angel? But we may not suppose that she mistakenly looked upon the angel as G-d; for those who are unable to behold the first cause may easily be deceived and look upon the second as the first; in the same manner as he who has but weak sight, not being able to behold the sun which is in heaven in its real appearance, thinks that the ray which falls upon the earth is the sun itself" (Quaestiones in Genesim 3:34). "for as those who are not able to look upon the sun itself, look upon the reflected rays of the sun as the sun itself.... so also do those who are unable to bear the sight of G-d, look upon his image, his angel Word, as himself" (De somniis 1:239). Comment: Anyone who thinks that the stranger who talked to Abraham by the oaks of Mamre (Gen 18) was YHWH Himself, is like a man with a severely impaired vision, who thinks that sun rays falling on the earth are the very sun itself. So says Philo. Although on one occasion (Quaestiones in Genesim, fragment. 2:62), Philo calls the first-created angel "second god", he makes it absolutely clear that the angel is NOT the true uncreated G-d. I do not believe that by the “word” in the opening of his gospel John meant Philo's first created angel and that this angel became flesh through Miriam. 1a) Targum Onkelos (c) Lev 18:30 "And you shall observe the keeping of My word". 1b) Targum Jerusalem (d), Num 15:31 "Because he hath despised the word of the L-RD, and broken His commandments". 1c) Targum Pseudo Jonathan (e) Exo 9:21 "who did not set his heart upon the word of the L-RD, left his servants and his flocks in the field". 1d) Targum Jonathan on Isaiah (f), Is 45:12 "It is I who have made the earth by my word, and I have created man upon it; it is I who have suspended the heavens by my power". The Father uttered his plan to make the earth, to create man and to suspend the heavens. And His Spirit brought into existence all that the word, which came out of the Father's mouth, expressed. The Father spoke, and it was so. 1e) The Bible in Exo 32:13 says: “Remember.... Your servants, to whom You swore by Your own self”. Targum Onkelos Exo 32:13 says.... Thy servants to whom Thou hast sworn by Thy word". Comment: HaShem has sworn by the word which came out of his mouth. He gave his word as a guarantee. 2) In the second kind of application, the word (memra) of the L-RD can refer to an angel acting on G-d's behalf, as His agent. 2a) Targum Pseudo Jonathan in Gen 16:7 says: "And the Angel of the L-RD found her (Hagar) at the fountain..." A few verses further in Gen 16:13 of the same Targum we read: "And she gave thanks before the L-RD whose word spake to her". Comment: The word of the L-RD is the angel of HaShem. In the Bible in Gen 16:13, Hagar addressed that angel HaShem, because the angel acted on HaShem's behalf. 2b) In Gen 19:24 the Bible says: "Then HaShem rained on Sodom and Gomorrah brimstone and fire from HaShem out of heaven". Targum Jerusalem writes: "And the word of the L-RD Himself.... caused to descend upon them bitumen and fire from before the L-RD from the heavens". Comment: It was actually the angel of HaShem, the word of the L-RD, who carried out the destruction. 2c) Gen 16:13 in Jerusalem Targum: "And Hagar gave thanks, and prayed in the Name of the word of the L-RD". Comment: She prayed through (in the name of) the angel, who appeared to her. 2d) Targum Jerusalem in Exo 3:14 states: “And the word of the L-RD said unto Moshe: “I am He who said unto the world, “Be” And it was”. Comment: The word of the L-RD is an angel, as Bible in Ex 3:2 and Acts 7:30, 35 imply. The Father gave the angel authority and power to speak and act on His behalf. So when the angel said: I am he who created the world, he spoke on Father's behalf. 2e) Targum Pseudo Jonathan Exo 20:7 "My people of the house of Israel, Let no one of you swear by the name of the word of the L-RD your G-d in vain; for in the day of the great judgment the L-RD will not hold guiltless any one who sweareth by His name in vain." Comment: The word of the L-RD is the angel of HaShem, who dealt with the Israelites on His behalf, see Exo 23:21. Under those circumstances, the name HaShem referred to both, the Creator and his angel. Therefore, when a man sweared by the name HaShem, the Targum author could say that the man sweared by the name of the angel of the L-RD. 2f) Gen 9:12 in the Bible says: "And G-d said, 'This is the sign of the covenant which I make between me and you...." Targum Pseudo Jonathan says: "And the L-RD said, 'This is the sign of the covenant which I establish between My word and between you..."
Comment: The word, the angel, represented G-d's side of the covenant. 3a) The Bible in Ps 7:8 says: "HaShem judges the peoples". The Psalms Targum (g) puts it: "The word of HaShem will judge the Gentiles". Comment: Compare with John 5:22 "The Father judges no one, but has given all judgment to the Son". 3b) The Bible in Isa 45:17 says: "But Israel is saved by HaShem with everlasting salvation". Targum Jonathan of Isaiah paraphrases it: "Israel shall be saved by the word of the L-RD with an everlasting salvation". Comment: The Father saves Israel by His human Son. A) The Bible in Lev 26:30 says: "and my soul will abhor you". Targum Onkelos and Pseudo Jonathan paraphrased it: "and My word shall abhor you". Comment: Why did Targumists substitute “my soul” (Heb nephesh) by “my word”? I don't know. B) The Bible in Isa 48:16 says: "And now the L-RD G-d has sent me and his Spirit". Targum Jonathan says: "And now the L-RD G-d hath sent me and His word". Comment: Why “his word” instead of “his spirit” (Heb ruwach)? Or is it a mistake? C) Deu 32:9 in the Torah says: "For HaShem's portion is his people, Jacob his allotted heritage". Targum Onkelos says the same: “For the L-RD's portion is His people, Jakob is the lot of His inheritance”. But Targum Pseudo Jonathan : "And when the holy people fell to the lot of the L-RD of all the world, Michael opened his lips and said: Let the good portion of the Name of the L-RD's word be with Him. Gabriel opened his lips with thanksgivings, and said, Let the house of Jakob be the lot of His inheritance". The only comment to the above text of Pseudo Jonathan I can think of are the words of Moshe: “Whatever I command you, be careful to observe it; you shall not add to it nor take away from it” (Deu 12:32). Targums do not justify the idea that the “word” in John 1:1 is a “second person” of the true G-d. I do not see in Targums any reason to believe that before his birth, Yeshua was a self-conscious being. (b) BibleWorks Targum material, derived from the Hebrew Union College Comprehensive Aramaic Lexicon (CAL) Project. (c) Targum Onkelos, translation by J. W. Etheridge The Targums of Onkelos and Jonathan ben Uzziel on the Pentateuch: with the fragments of the Jerusalem Targum (London: Longman, Green, Longman, and Roberts, 1862-1865). (d) Targum Jerusalem on the Pentateuch. An English translation compiled and adapted by Jay Palmer from source files at the Newsletter for Targumic and Cognate Studies. Original text from J. W. Etheridge. (e) Targum Pseudo Jonathan on the Pentateuch. An English translation compiled and adapted by John Ronning from source files at the Newsletter for Targumic and Cognate Studies. Original text from J. W. Etheridge. (g) The Psalms Targum: An English Translation by Edward M. Cook, © 2001 Edward M. Cook, online edition at http://biblefacts.org/bible/targum/pss/tg_ps_index.htm. Mat 5:17. "Do not think that I came to destroy the Torah or the Prophets. I did not come to destroy but to fulfill." In the word "fulfill" (Greek pleroo),Yeshua correctly interpreted the Torah and lived by it, thus he fully satisfied the requirements of the Torah. Mat 5:18. "For assuredly, I say to you, till heaven and earth pass away, one jot or one tittle will by no means pass from the Torah till all is fulfilled." "And the L-RD your G-d will circumcise your heart and the heart of your descendants, to love the L-RD your G-d with all your heart and with all your soul.... And you will again obey the voice of the L-RD and do all His commandments which I command you today." The verses above tell us that during the Olam Ha'Bah [the next world] G-d will circumcise hearts of his people and as a result they will obey ALL the commandments, which Moshe commanded!!! Obviously, Mat 5:18 talks about the Torah of Moshe. Yeshua declared in Mt 5:18 that every detail of the Torah of Moshe remains in force now and in the Olam Ha'Bah. Mat 5:19. "Whoever therefore breaks one of the least of these commandments, and teaches men so, shall be called least in the kingdom of heaven; but whoever does and teaches them, he shall be called great in the kingdom of heaven." Consequently, here in verse 19 he exhorts his followers to keep and teach others to keep every commandment of the Torah of Moshe in every generation. He who does so, will be considered great in the kingdom of heaven, that is, in the Olam Ha'Bah. Want to know more about the true Biblical view on Divorce? Click the audio below for a sample teaching on this important subject. To purchase the entire three-part series, click HERE. 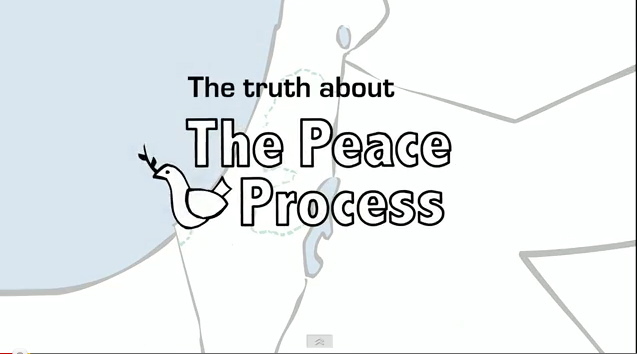 Where did the seed from which Yeshua was conceived, come from? 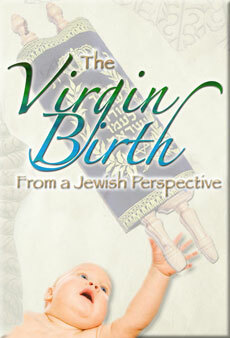 Could Yeshua have been conceived from seed supplied by Yosef? If so, who delivered it? regarding the virgin birth doctrine. audio sample of this teaching by clicking HERE. Click on the "ADD to CART"
the full 1 hour teaching. For a complete list of additional audio teachings, click HERE. Click here to go to the purchase page. can never be good news for the Jew. offered at the Jerusalem Temple. 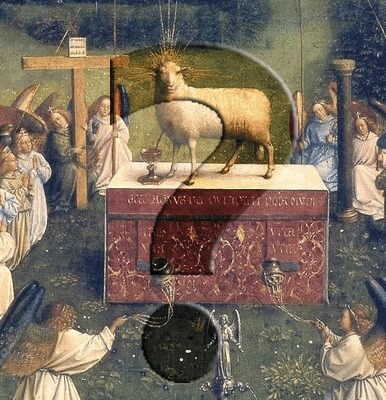 What does "Lamb of G-d" mean? Was Yeshua really our "Passover Lamb?" Yeshua's role in the Temple Service.